If the Police Department wants to swipe the Drivers License from the cars, then there is no manual data entry of the tickets for the Municipal Court clerks. But if the PD does not want to use this feature, please note how all of the ticket information is on this one screen! Highly efficient Ticket data entry! All ticket information is on one screen! Violations, Officer, and Location where ticket was written, are pulled into the ticket from Master tables. 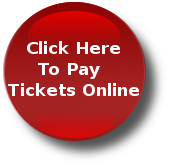 Minutes may be added to each ticket-and the button turns red. 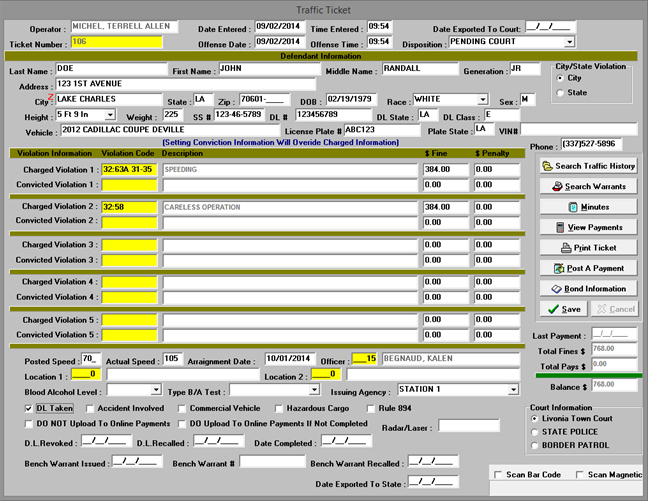 The Arraignment Date is set as a default in the system. Each Ticket has its own ledger for tracking either full or partial payments.